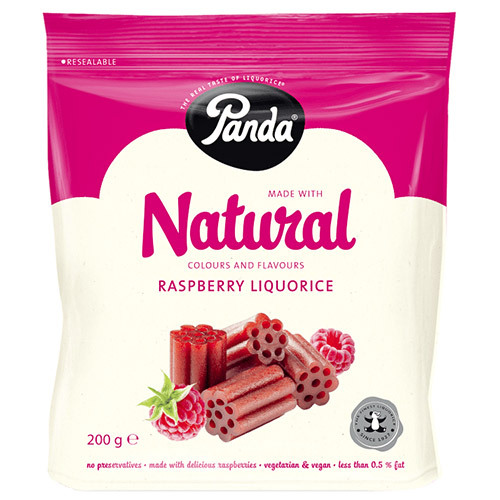 Luscious Panda Raspberry Liquorice is made with delicious real raspberries to create a mouth-watering raspberry taste sensation. Molasses syrup, wheat flour, pasteurised raspberry puree (1.7%), acidity regulator (citric acid), natural flavouring, liquorice extract. 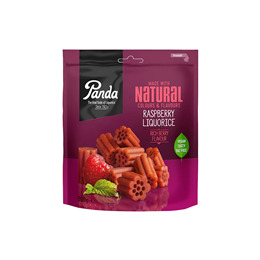 Below are reviews of Panda Raspberry Liquorice Cuts - 200g by bodykind customers. If you have tried this product we'd love to hear what you think so please leave a review. Soft and yummy! I used to get this in Blueberry flavour. Please would you add the blueberry liquorice cuts to the Panda range bodykind? hanks.